Opposition leader Michael Sata took a strong lead in Zambia’s presidential election on Wednesday, although with only 10 percent of votes counted it was unclear if he could achieve a historic transfer of power. Sata toned down his rhetoric against foreign mining firms operating in Africa’s biggest copper producer, particularly those from China, in the latter stages of campaigning for Tuesday’s election. But a Sata victory would still cast uncertainty over the country’s investment outlook. Several constituencies declared so far are Sata strongholds. However, the tally suggested that the man nicknamed “King Cobra” due to his vicious tongue stood a chance of ousting incumbent Rupiah Banda and beating his Movement for Multi-party Democracy for the first time since the end of one-party rule in 1991. With 15 out of 150 constituencies tallied, the Election Commission said Sata had won 134,635 votes against 70,335 for Banda. Full nationwide results are not expected until Thursday. The southern African nation has just over 5 million registered voters and turnout in the closely contested election, which was marred by sporadic riots and 19 arrests in the capital Lusaka, appears to have been around 60 percent. Sata told Reuters last week he would not bring back a minerals windfall tax if he came to power. But he said he would restrict the removal of foreign exchange from the former British colony to support the local economy. Sata’s main support is in Lusaka and the northern Copper Belt — both of which are likely to report results before the countryside where Banda claims most of his backing. Chinese companies have become major players in Zambia’s economy, with total investments by the end of 2010 topping $2 billion, according to data from the Chinese embassy. But Sata accused Chinese mining firms in the earlier stages of the campaign of creating slave labour conditions with scant regard for safety or the local culture. One opinion poll published a week before the vote gave Banda a slender lead over his Patriotic Front (PF) rival, whom he beat by just 35,000 votes in a 2008 presidential run-off. 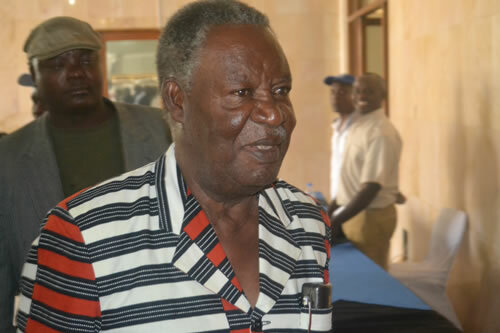 PF officials said Sata had fared surprisingly well in the countryside while the pro-Banda camp said the MMD had made unexpected gains in urban areas. DaMina Advisors, a consultancy that specialises in African capital markets, said Sata was poised for a historic upset due to support from hundreds of thousands of young voters demanding jobs and political change. “The over 1 million new voters who will be casting their ballots for the first time are expected to back Sata’s populism over Banda’s status quoism,” DaMina said in a note. However, research firm Eurasia Group said it expected Banda to see off Sata’s challenge, thanks to a healthy economy and recent surge in government revenues from the privatisation of telecoms group Zamtel and back-taxes from mining companies. Eurasia said another narrow loss for Sata could cause disgruntled supporters to take to the streets, but it predicted that any trouble would have no impact on what is regarded as one of sub-Saharan Africa’s most promising economies. “If Sata loses a close election and rejects the outcome there will be some unrest in Lusaka and the Copper Belt but it will be contained and relatively short-lasting,” Eurasia said.